I'm quite fond of Charlottesville's Corsair. Their melodic, sometimes heavy, progressive rock is always a delight to listen to. 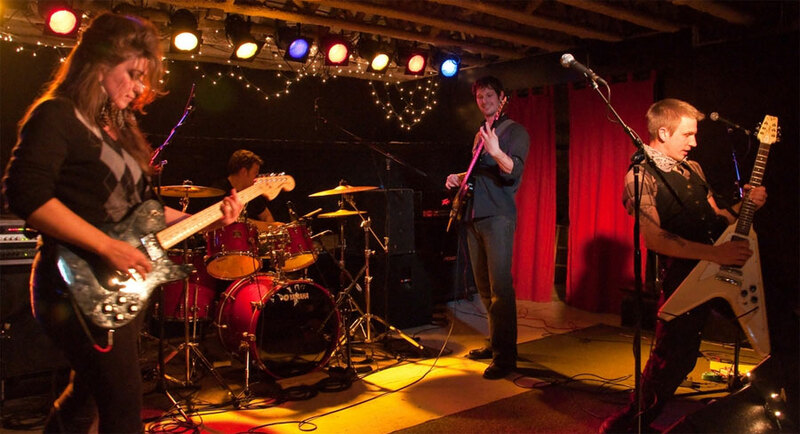 Now, after two EP's the band finally delivers their first full length album, simply self-titled. 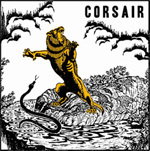 In some sense Corsair seems to channel the past as you'll hear some heavier Seventies style groove in their music. This is notable in both Gryphon Wing and Path of the Chosen, two quite excellent songs. There's even, at times, a hint of psychedelic. You catch some of this in the opening instrumental, Agathyrsi. Mostly, however, this is simply well-crafted, not overly complex, melodic progressive rock. Corsair has a gift for both melody and intrigue in their compositions. Yet, the real highlight of any Corsair song is the twin guitar work from Marie Landragin and Paul Sebring, which is masterful throughout. The only downside here is the vocals; while clear, they sound muted across the album. Yet, my suspicion is that this is by design, or maybe they just don't like singing. With their first full-length album, Corsair once more delivers fine, intriguing and entertaining, melodic progressive rock. This is a real treat. Get your copy as soon as possible. Very recommended. With their first full-length album, Corsair once more delivers fine, intriguing and entertaining, melodic progressive rock. This is a real treat. Get your copy as soon as possible.